"Bournemouth University is striving to create a world-class learning community by sharing our unique fusion of excellent education, research and professional practice. Central to all these activities is excellence in public engagement to ensure the benefits of higher education extend far beyond our institutional walls. This is embodied by our strategic plan, BU2018: Creating, Sharing and Inspiring. We have signed the Manifesto to signal the importance that Bournemouth University places on public engagement and to provide a framework for supporting further development of our public engagement activities. As an institution, we support the principles of the Manifesto and are striving to embed the best possible practice across the University and to celebrate existing excellence in public engagement." Public engagement lies at the heart of our strategy, BU2018, which believes fusion of education, research and professional practice will create a unique learning experience. We also believe it is essential that we share our knowledge, skills and resources to ensure that we are an institution that the public can be proud of. 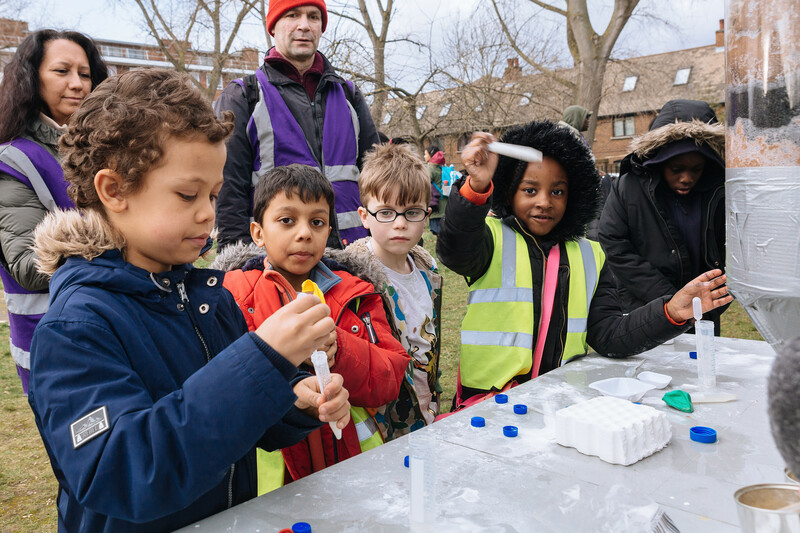 Therefore, public engagement activities are essential for listening and learning from those outside of academia to enhance the quality of all our activities. The M.A.D About the Wreck project, led by Paola Palmer in collaboration with the Borough of Poole’s museum service to explore the history at the bottom of the sea through the SWASH wreck. An innovative approach to volunteering opportunities students, staff and alumni through The Hub system (which was first developed by BU a decade ago and has now been adopted by numerous other HEIs). Dr Genoveva’s Esteban’s participation in Biology Week on the ‘Hidden World of Water’. Café Scientifique Bournemouth, with talks including the ‘Cardiac Foxtrot’ by Professor Jeff Bagust and ‘The Fastest Men on No Legs: Oscar Pistorius, prosthetic limbs and the role of technology in elite sport’ by Bryce Dyer. Dr Carrie Hodges, Dr Wendy Cutts and Dr Lee-Anne Fenge’s Seen But Seldom Heard project using participatory creative methods to explore lived experiences of disability and aspiration amongst 14-19 year olds. Bournemouth University’s Dementia Institute (BUDI) carer’s forums to explore the experiences of carers of people with dementia and to ascertain the key issues facing service users in Dorset, amongst the institute’s many public engagement initiatives. Dr Sarah Bate’s workshops on face processing disordersto identify those with prosopagnosia and to inform the required research. The Aspire BU team runs a range of activities for both primary and secondary schools and colleges in the region. Activities range from campus visits to academic workshops to mentoring programmes. Throughout the course of the year they work with hundreds of BU Student Ambassadors and Mentors who act as inspirational role models and is building on regional links with external organisations such as the Tank Museum. BU hosts an annual Festival of Learning. Compromising of over 150 activities each year this event attracts between 4-5,000 visitors annually. Highlights have included “Don’t eat poo and die, eat poo and live: an investigation of things we eat and things we don’t eat”, “Healthy lifestyles made easy: fitness innovations, not just for the young”, “What can the eyes tell us about reading, writing and dyslexia?” and “Nutrition, activity and healthier living”. Since 2012 BU has run a handful of events each year as part of the ESRC Festival of Social Science. As of 2015 BU became a Festival Partner running more than a dozen events as part of the week-long festival.